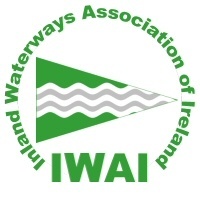 “Earlier this week Waterways Ireland received notification of an unconfirmed report from the National Biodiversity Data Centre via National Parks and Wildlife Services of a Coypu on the Royal Canal. We are obliged to take this seriously, given the potential implications posed by a Coypu presence on Irish waterways. 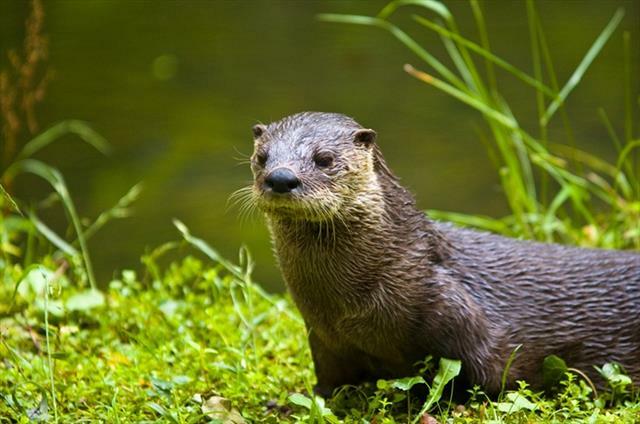 All evidence now leads us to believe that this was a case of mistaken identity and the report was likely that of native Otter, which are present on the Royal Canal. * Are highly invasive impacting on wildlife, river and canal bank stability and is a pest of agriculture crops. * Eradication programmes can cost several millions of euro and are not always successful. * Carry a number of diseases of importance to humans and domestic animals. 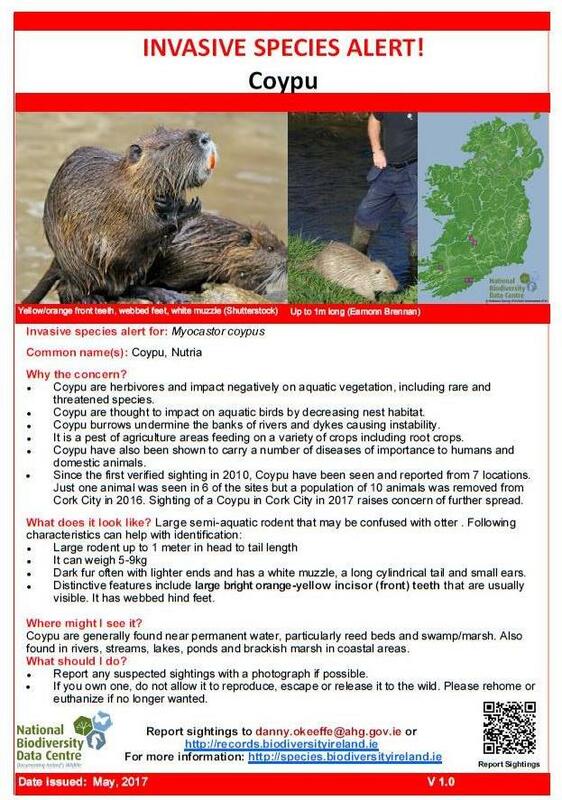 * Recent potential sighting of a Coypu in Cork City in 2017 and more recently on the Royal Canal in Ashtown Dublin in March 2019, raises concern of further spread. * Large semi-aquatic rodent up to 1 meter in head to tail length. * Features same in juveniles. * It can weigh 5-9kg. * It has webbed hind feet. * Has long cylindrical tail (not fur tail like otter) and small slightly protruding ears. * Distinctive features are large bright orange-yellow incisor (front) teeth usually visible. 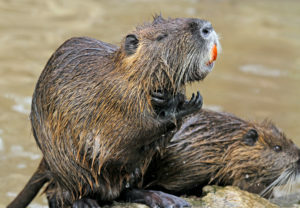 * Coypu are generally found near permanent water.